The BlackBerry KeyOne showed the secure smartphone company is still popular with keyboard fans. Now it's pushing ahead with the BlackBerry Key2 which has leaked in images ahead of the expected June 7 launch. Just days ahead of the expected BlackBerry Key2 launch event, serial leakster Evan Blass has shared pictures of the new handset on Twitter. As you can probably see from the shared images, the Key2 looks very similar to the original KeyOne. If it ain't broke, right? This of course means the classic keyboard is back for those that refuse to make the jump to touchscreen. This has the addition of a new level of refinement, ideal for the business users that are largely targeted by BlackBerry. The rear material has a grippy finish which runs the full length of the phone's rear making for an attractive look which is also functional for anti-drop levels of grip. The BlackBerry Key2 appears to feature a dual lens rear camera. On the front there is a button which doesn't have a clear role – could this be some sort of smart assistant shortcut? Other expected specs include a Qualcomm Snapdragon 660 CPU backed by a heft 6GB of RAM. The Key2 should come running Android, like the KeyOne did, and be backed by plenty of super secure enterprise software. 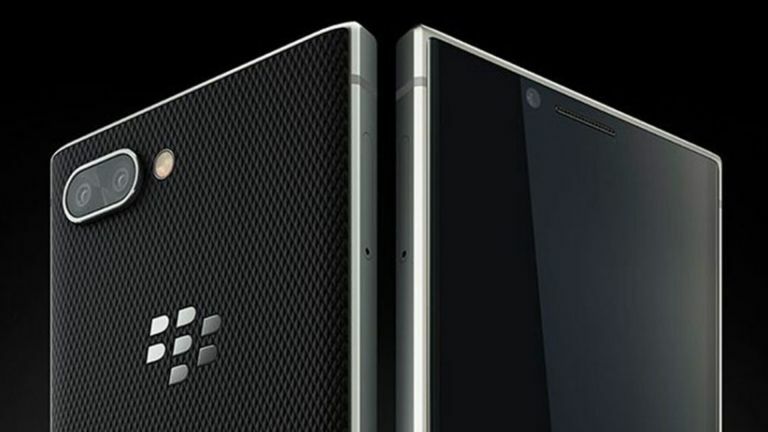 Expect to hear more from BlackBerry on June 7 when the official Key2 launch is expected.